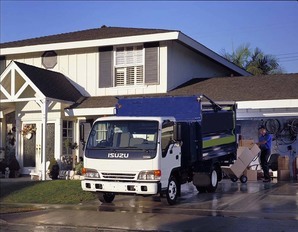 Phoenix Junk Hauling is the largest and most-rewarded junk hauling company in Phoenix, AZ. Our crew provides you with superior service starting the moment you contact our office. Our peers might have similar products and services, but no one comes close to our level of overall customer satisfaction, the quality of our workmanship, and the knowledge of our staff. We offer many choices of services to help you create the optimum appearance for your residential or commercial property. You typically make the choice to have items removed from your home or business several times a year. Therefore, it makes sense to place your confidence and your money with a well-known and respected local company. We are devoted to serving you with the highest standards of quality workmanship and customer service. We lead the industry in outstanding work and professionalism. We know that your property is important to you, and we want to assist you in protecting your investment by keeping your property clean. We take great pride in our history of junk hauling work here in the Phoenix, AZ area. Our team of movers is well trained and possesses the skills to get the job done correctly and within your price range. You can count on us every time to do a fantastic job. We are very happy that you chose us for your junk hauling, TV removal, and spa removal services. 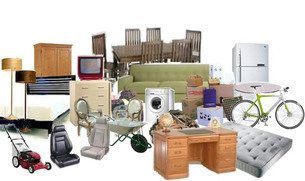 We are a full-service junk removal, and our workers can handle projects of any size for properties of any size. Our company has earned a stellar reputation for dependability and fair pricing. We provide consultations, so you never have to worry about hidden costs with us. ​Old furniture and appliances creates clutter and costly to removed, which is one of the main reasons property owners gets rid of these items professionally. You can trust us to get rid of anything you want. We serve all of Phoenix, AZ and the surrounding areas. If you are looking for an experienced and skilled junk moving contractor for homes or businesses, get in touch with Phoenix Junk Hauling.